Fact is, even advertising agencies themselves need a good marketing strategy – a good telemarketing strategy so to say. Graphic artists, publicists, creative script writers and PR experts may be good at crafting visual productions or graphics that can tell a story and compelling slogans like McCann’s funny cartoon ad for Metro Trains entitled “Dumb Ways To Die” (www.mccann.com.au) or Affinity’s fuzzy ad for Prozym Dental (www.affinity.ad). However tough competition is scratching the ad agencies’ backs and the itch to get on ahead is undeniable. So aside from advertising themselves via web, broadcast and print channels, telemarketing bellies up to the list of their marketing tactics in the business picture. Creative ad agencies have in-house marketing strategies in place but most of the time are inactive – they wait for customers to come or to contact them. Telemarketing however is the proactive strategy that empowers businesses to reach their target customers together with other marketing channels like email, social, web and mobile which enables them to deliver the right message to the right person at the right time when associated with these marketing channels, which by the way is most practiced and offered as one package by Lead Generation companies nowadays. Email is the most viable channel which supports the calling or voice channel by sending customized messages that are tailored to your prospect’s buying behavior and business need. Your telemarketing team can also include a good web visibility strategy to widen your telemarketing coverage. A compelling Content posted via web or social sites can attract target customers to become interested and familiar with your products or service and eventually convert into leads. Also, the web channel is a gateway for you to penetrate your target audience’s business circles – this can give you the opportunity to make your target market feel and aware that you have the same interest with them – nice tactic to easily gain their trust once you get hold of them on the call. Believe it or not, lead generation providers nowadays can pass through any communication channel just to reach target decision makers. The mobile channel works relatively with all the other channels which most people have access to 24/7 but is more utilized to support the voice channel. In this techno world where almost everything and everyone access information and do business on mobile, decision makers hardly answer landline phones anymore but they are very much easily contacted through their mobile phones. #1: A database is a standard requirement for a telemarketing campaign. If you don’t have enough list of clients to call on, you can just give out your target market specification to your telemarketing provider like industry type, size, annual revenue, decision makers and zip codes and they can easily filter a list for you to approve and work on. It is wiser to verify contacts through phone before so you don’t go wasting your time calling over an outdated email. #2: An experienced calling agent will call for or on your behalf and who does not need any rigid training at all but just a quick orientation about your product or service specifications. Skilled telemarketers make at least 140 calls per day and is driven to achieve in-house KPIs that benefits them with rewards and incentives. #3: In-house CRM and nurture tools are integrated to roll out a seamless telemarketing campaign for your business while assuring you of sales-ready quality leads. #4: Customer profiling is a service that could be taken either as a stand alone or packaged together with all other service channels like Voice. Its imperative to have your database cleansed by scrubbing off invalid contacts and DNCs before you kick off the campaign (to comply with the ACMA laws and regulation on DNC and DNE), and be well managed to keep data integrity. If you really want to get better leads, then you should consider customer segmentation. 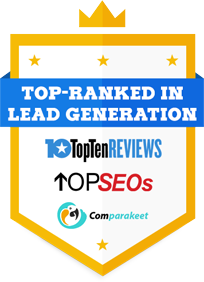 All you need to do is take in the leads generated by your Telemarketing team. Advertising agencies, like any other industries need a more proactive marketing strategy like Telemarketing in order to keep up with the tough business competition. So calling all ad agencies in Australia, don’t get your swivel chairs holed by sitting all day and wait for the noisy telephone rings from customers who might be calling the competitors anyway, instead get a good telemarketing provider who generates sales-ready leads for you via multiple marketing channels. Learn how Advertising Agencies in Australia Get Qualified Leads! Dial +61 2 9037 2248.